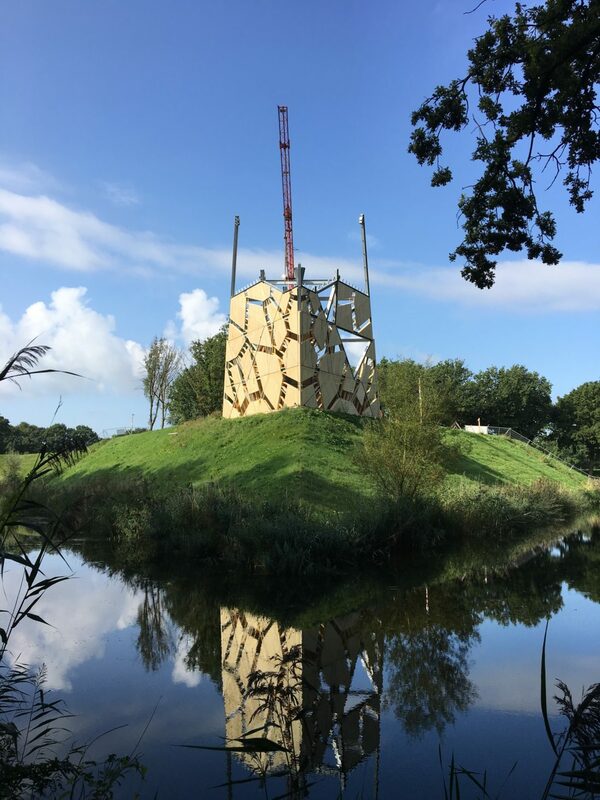 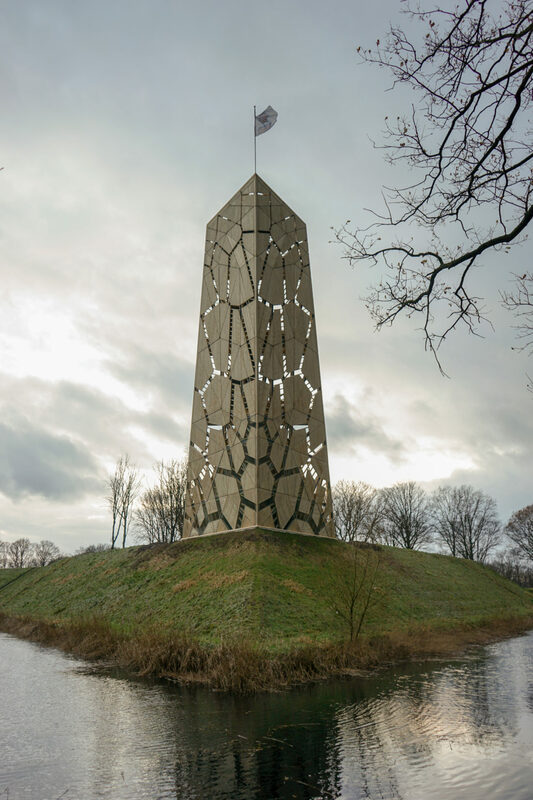 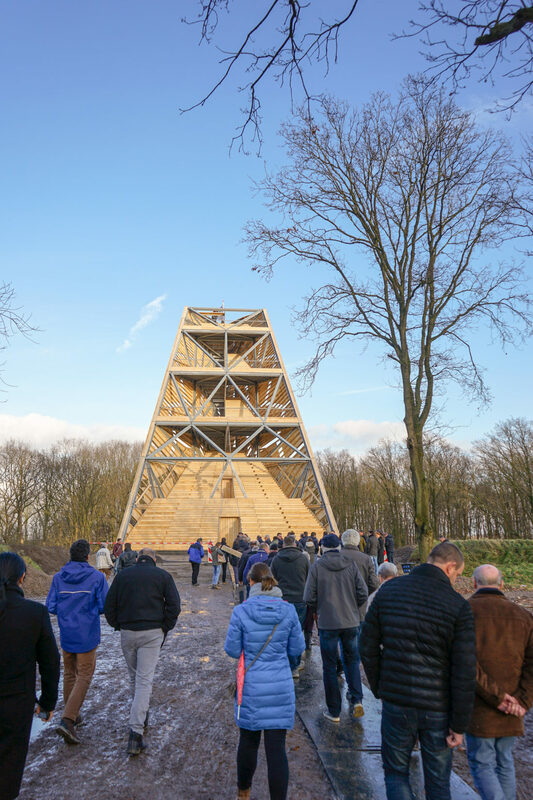 Pompejus is a steel framed, timber clad lookout tower in Fort de Roovere entrenchment designed by Ro&Ad Architecten from Netherlands. 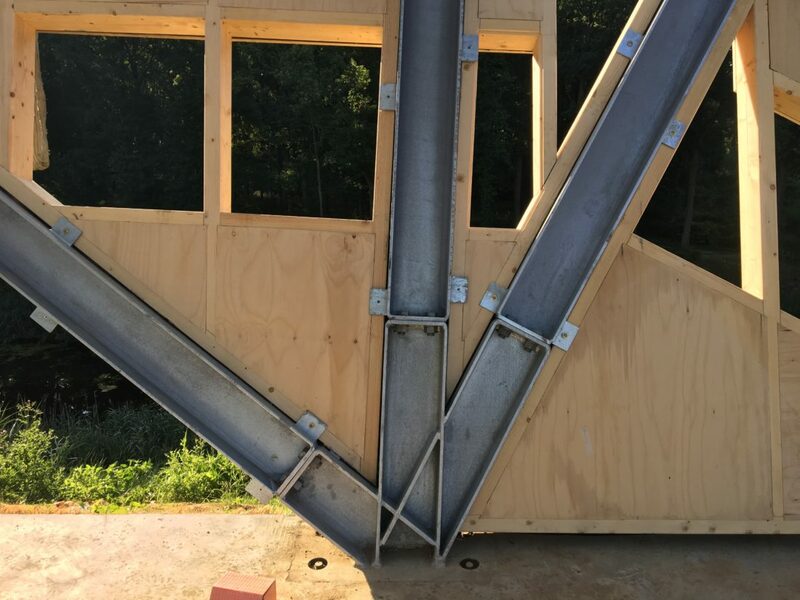 GEOMETRIA was asked by the architects to handle the digital fabrication process and assembly instructions for the (mostly) Accoya timber pieces. 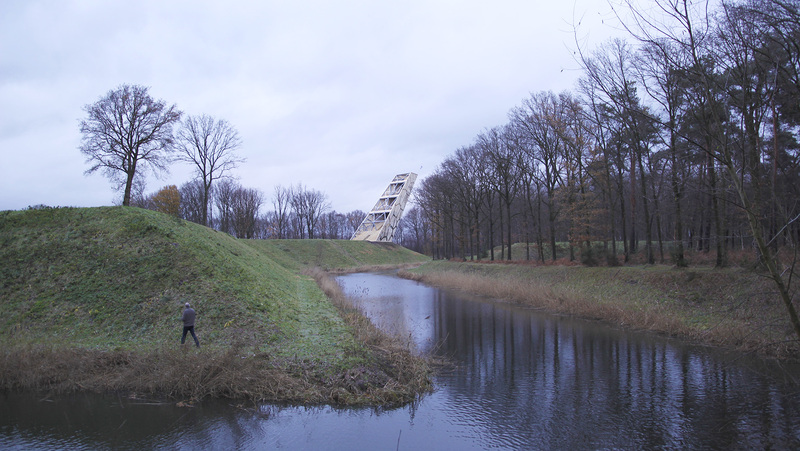 The now famous Moses Bridge by Ro&Ad Architecten is also located in the Fort de Roovere area. 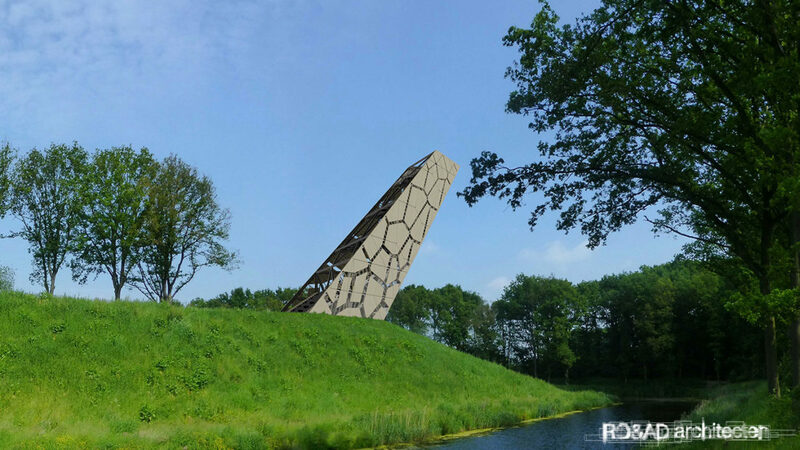 The lookout tower has a triangular base, distinct leaning figure, and is over 25 meters in height. 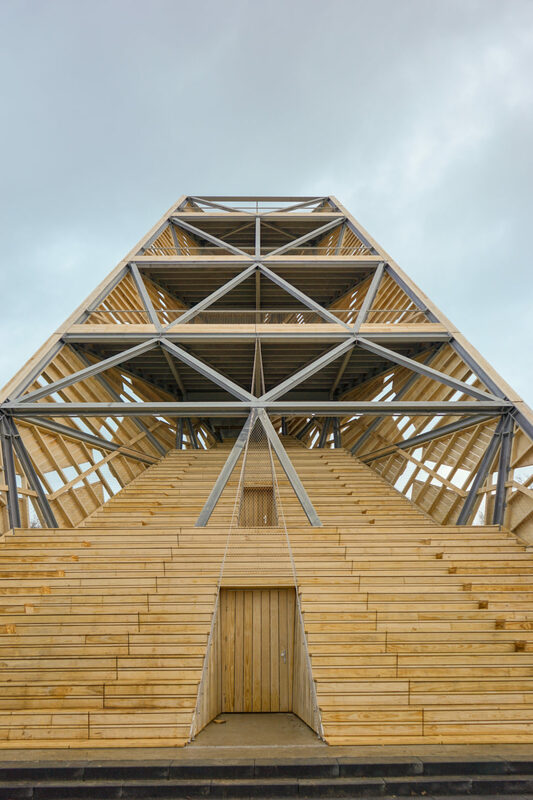 It is supported by a complex steel frame, and is clad in timber elements, forming an intricate mesh patterning on the facade. 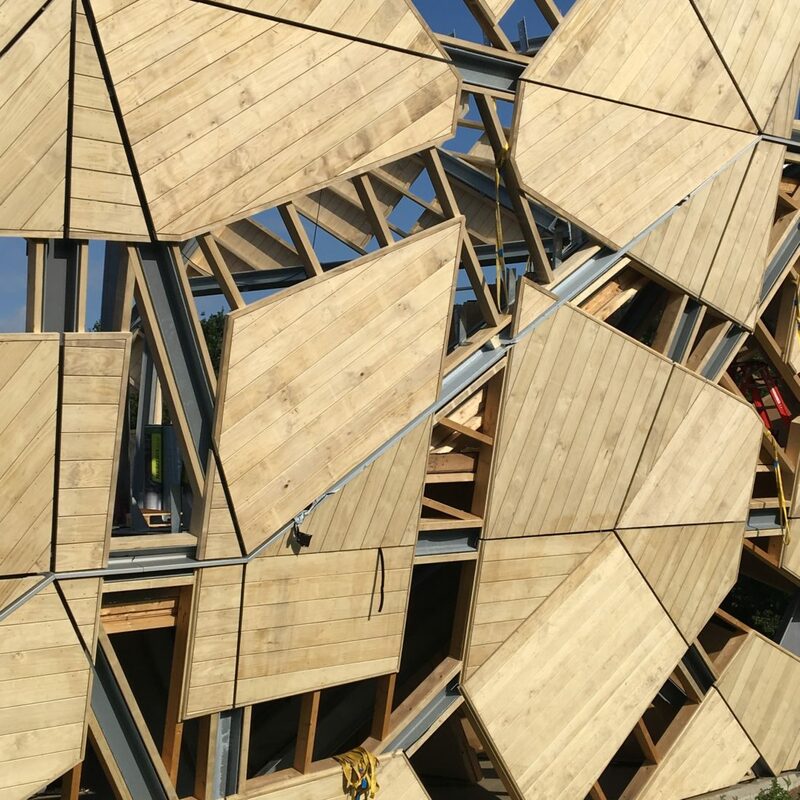 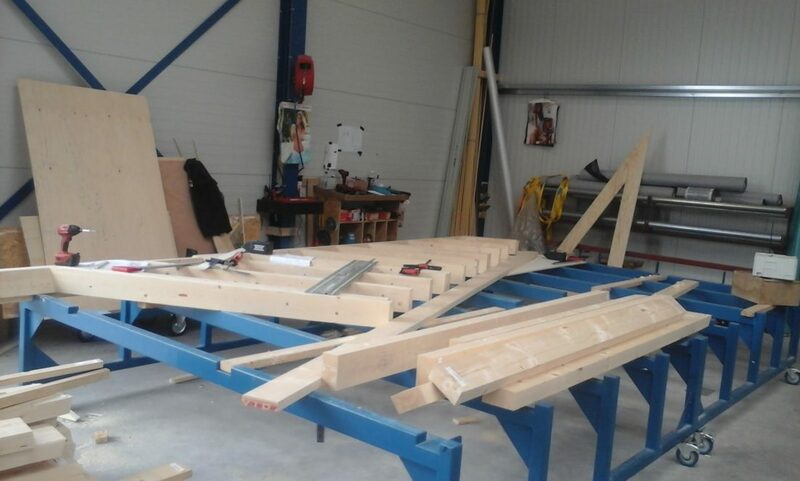 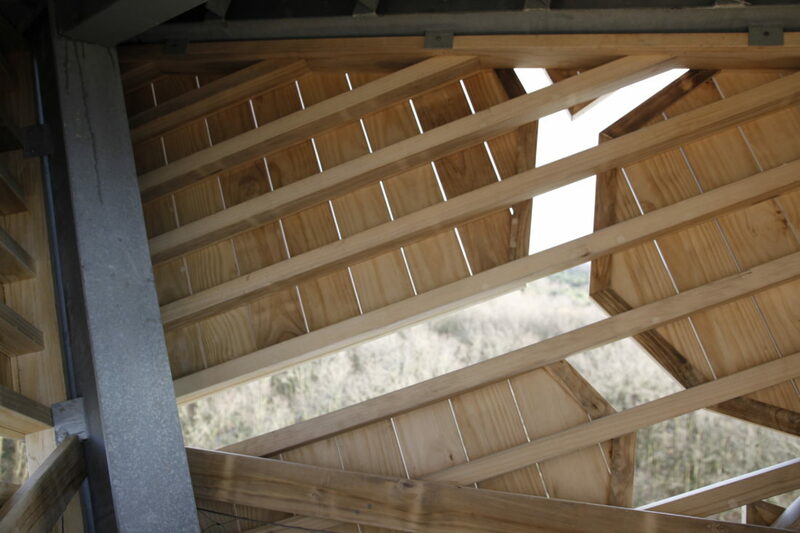 GEOMETRIA was asked to handle the fabrication process and assembly instructions of the facade, ceiling and wall elements, comprising 155 elements and over 7000 unique timber pieces. 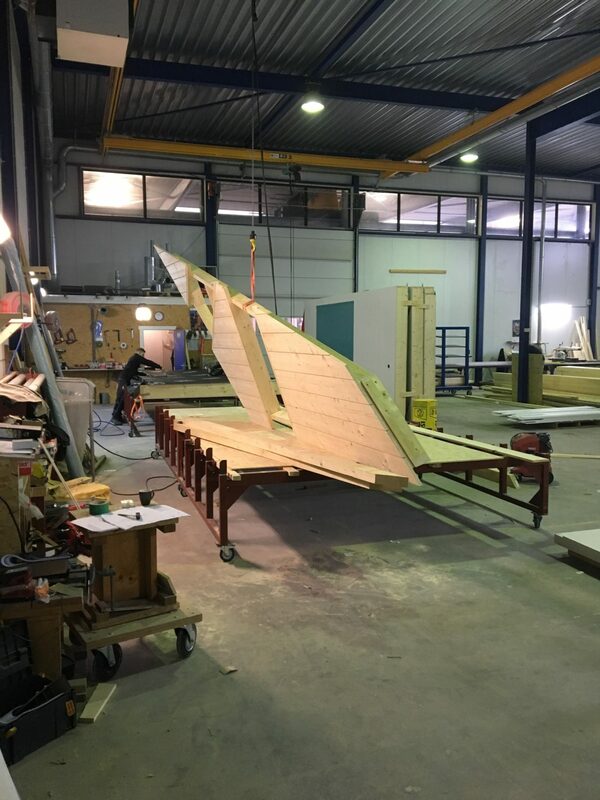 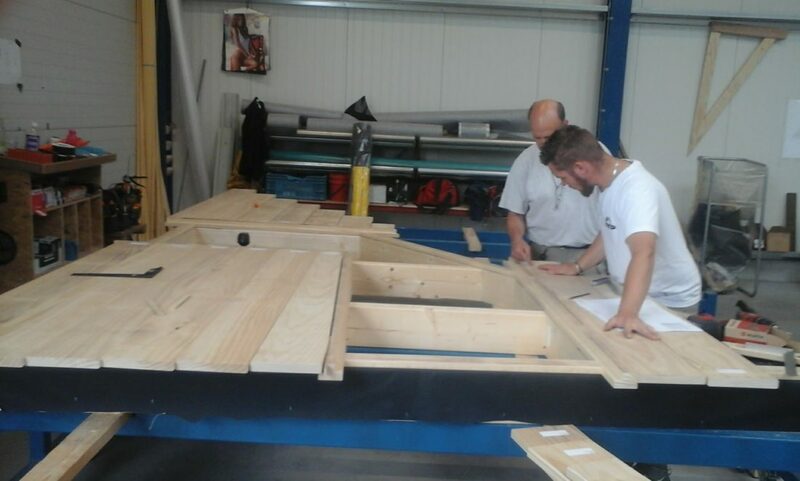 The work commenced from the 3D solid DWG model by the architect, and resulted in hundreds of fabrication files and PDF assembly instructions. 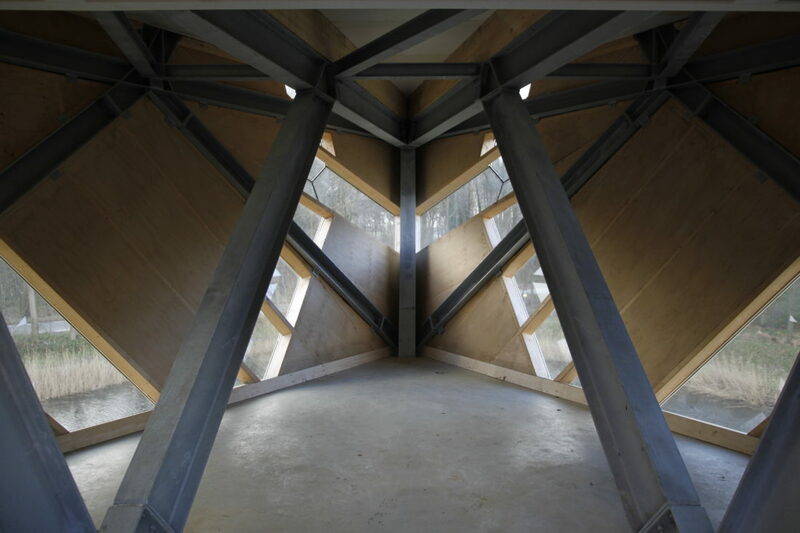 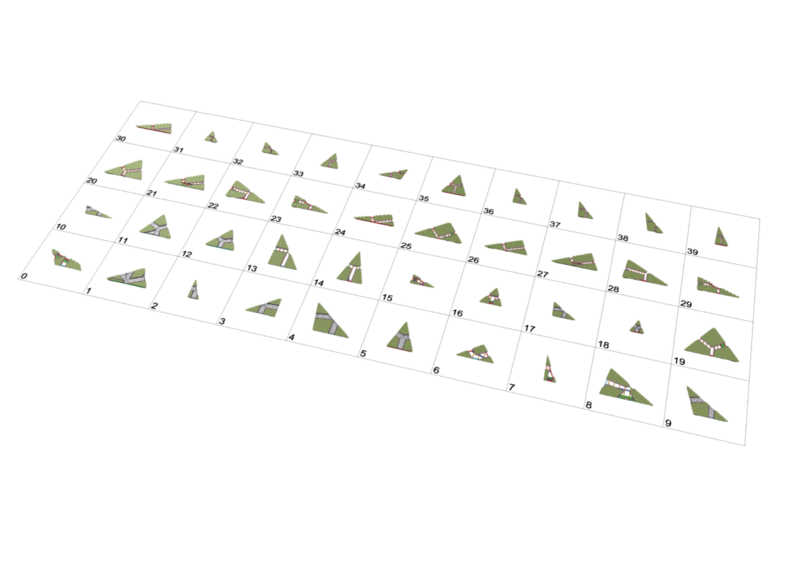 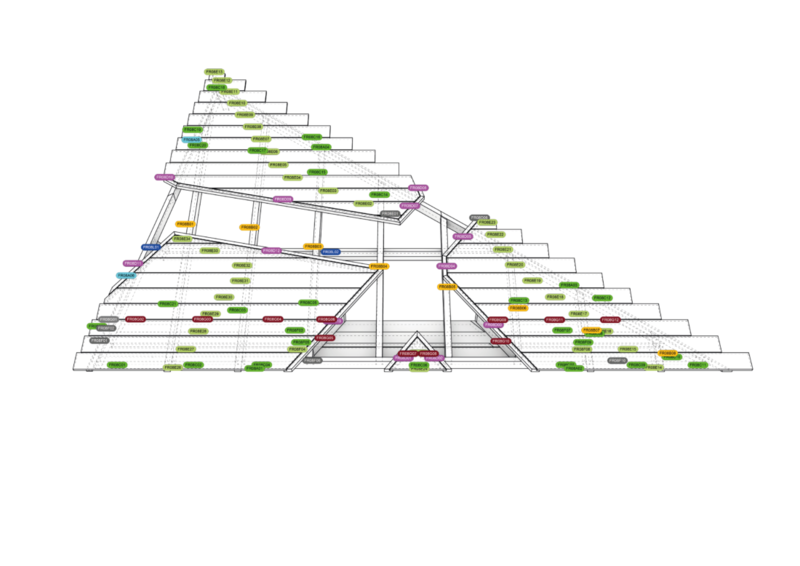 As the received model was meticulously cut into separate timber pieces, GEOMETRIA first categorized the 3D solids to building elements, distributed layer information and gave each piece an individual code – marking its location in the construction and in its element. 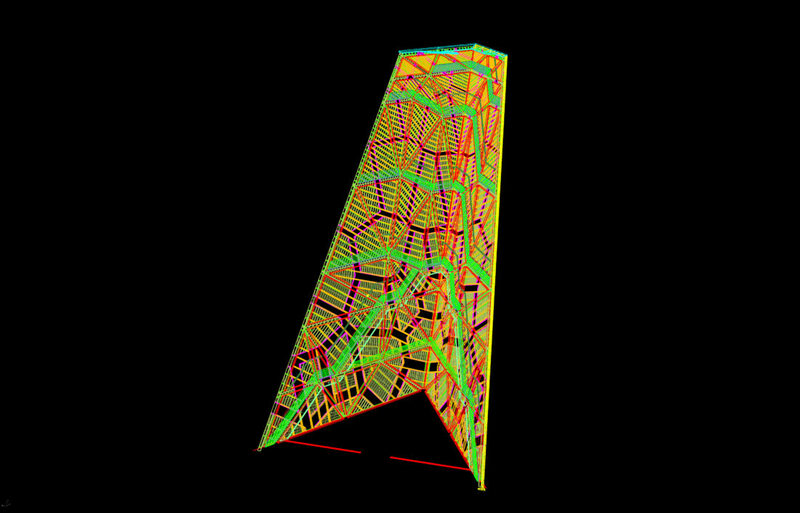 All necessary geometrical information was extracted from the 3D solids and then fed back to the model as object-based metadata. 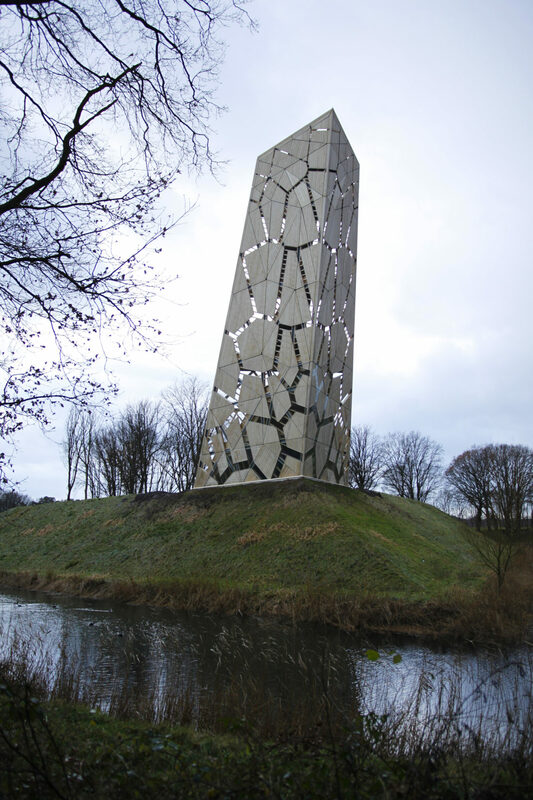 The metadata in each object was used in exporting the fabrication information to VKP BW, contractor in charge of the fabrication and assembly of the elements. 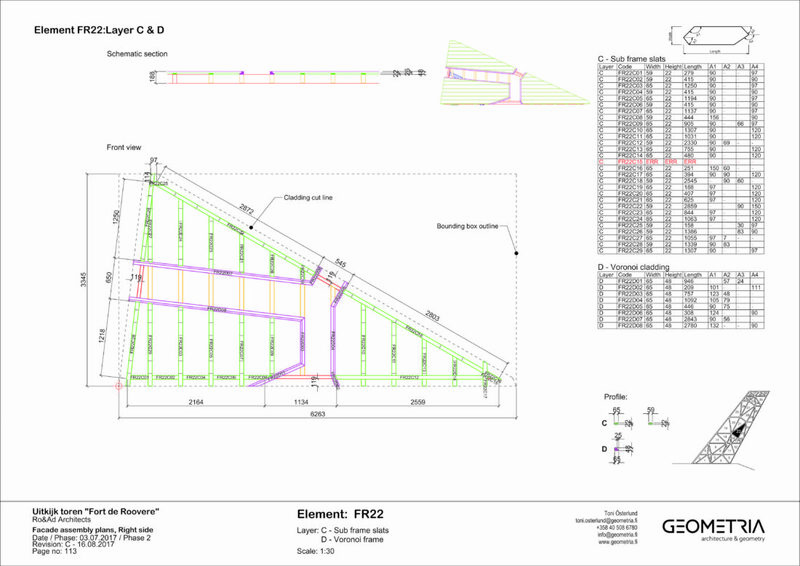 GEOMETRIA constructed for this project, a special CSV-file exporter that directly fed the manufacturing device, HM-Z cutting machine. 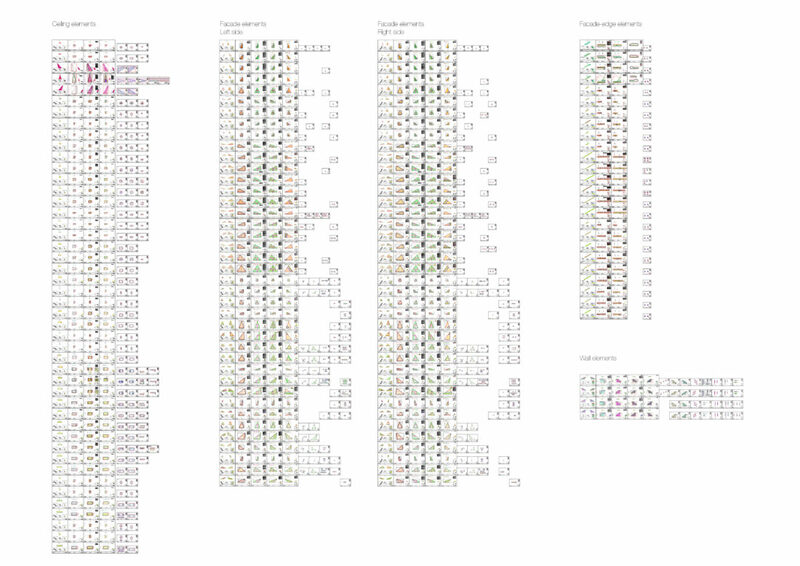 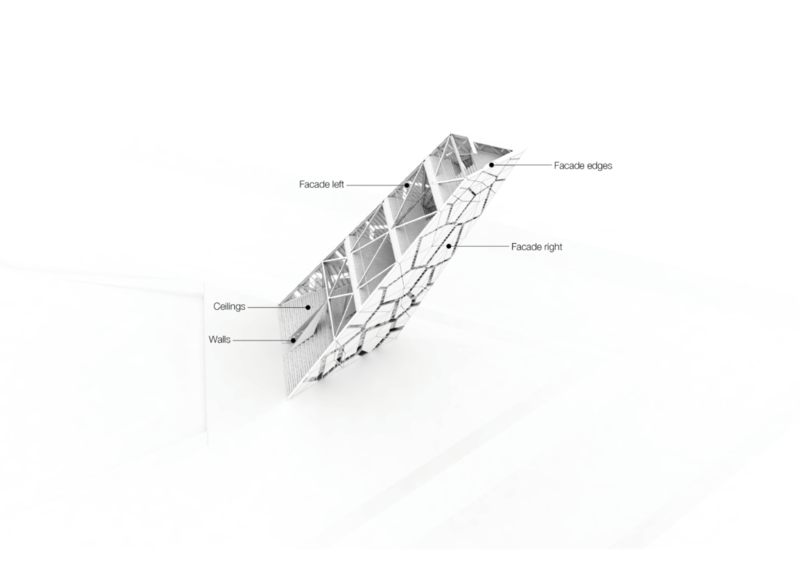 Together with the fabrication files, we delivered per element assembly instructions, with dimensions and part listings. 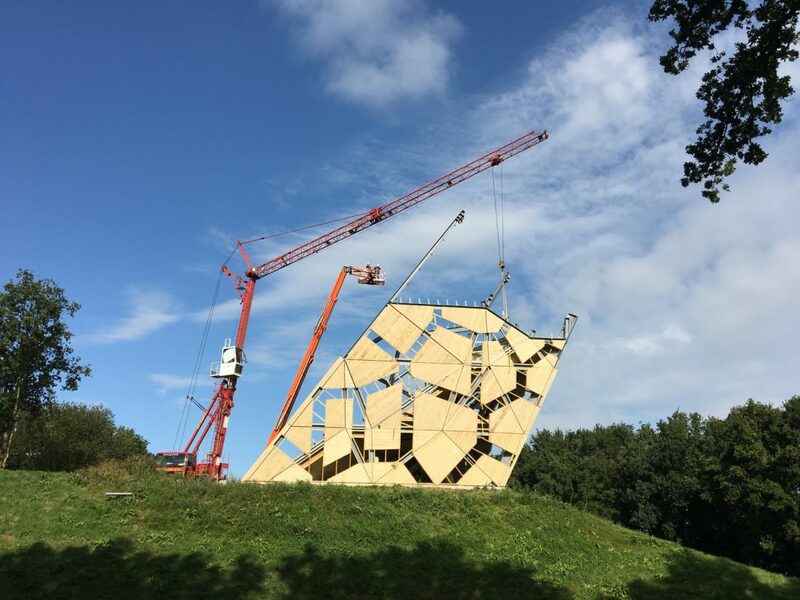 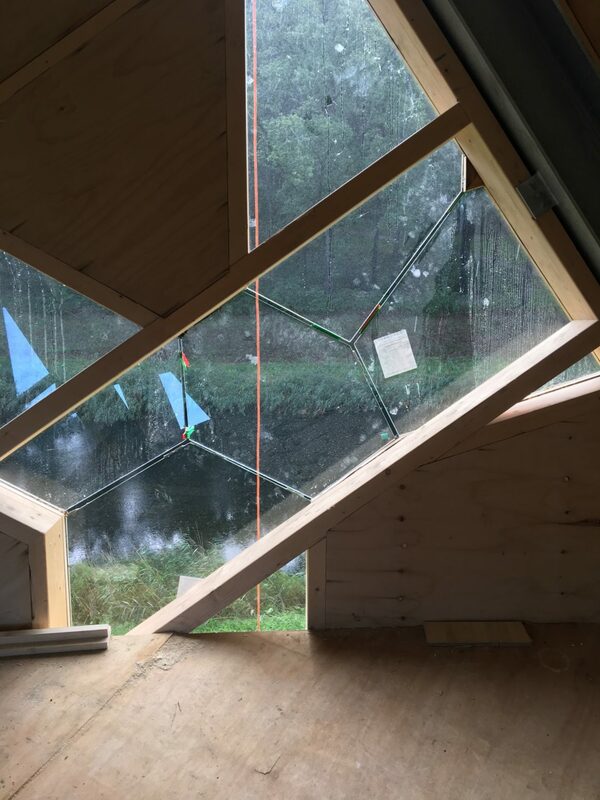 With the help of GEOMETRIA, Roa&Ad Architecten and VKP BV were able to fabricate the architect’s 3D model with precision, and assemble the elements by using the highly illustrative and detailed assembly instructions.